At least four persons including a security personal have been martyred in landmine blast in Khyber Agency. Officials said that unidentified militants have planted the IED near to helipad in Akakhel village of Tirrah Vally. The IED exploded with a big bang when personnel of security forces were on routine patrolling in the area. As a result of explosions four persons including a Lance Naik Mehmood of 13 AK were killed and three other injured. The injured were shifted to nearby hospital whereas their conditions stated in danger. The civilians killed in the explosions were identified as Bagh Meer, Noor Agha Janson of Lewan Shah and Hazrat Umar. All killed and injured civilians belong to village Aka Khel of Upper Bara, also called as Tirrah Valley. Soon after IED attack on security forces, security tightened in the area. 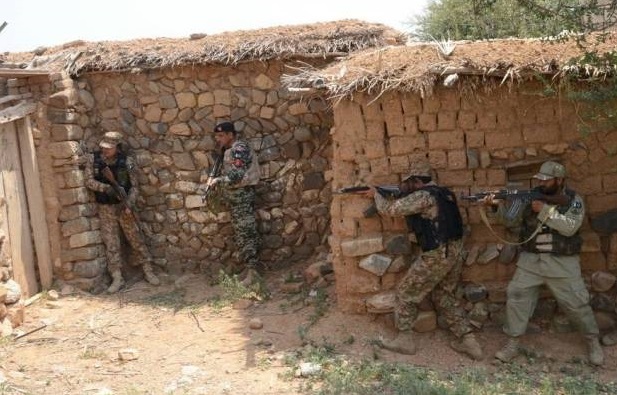 The security forces started search operation in the surrounding areas. The Political Administration has confirmed the deaths in incident.